Van Gogh wrote to his brother Theo of his excitement about "the modern portrait," a picture that renders character not by the imitation of the sitter's appearance but through the independent, vivid life of color. 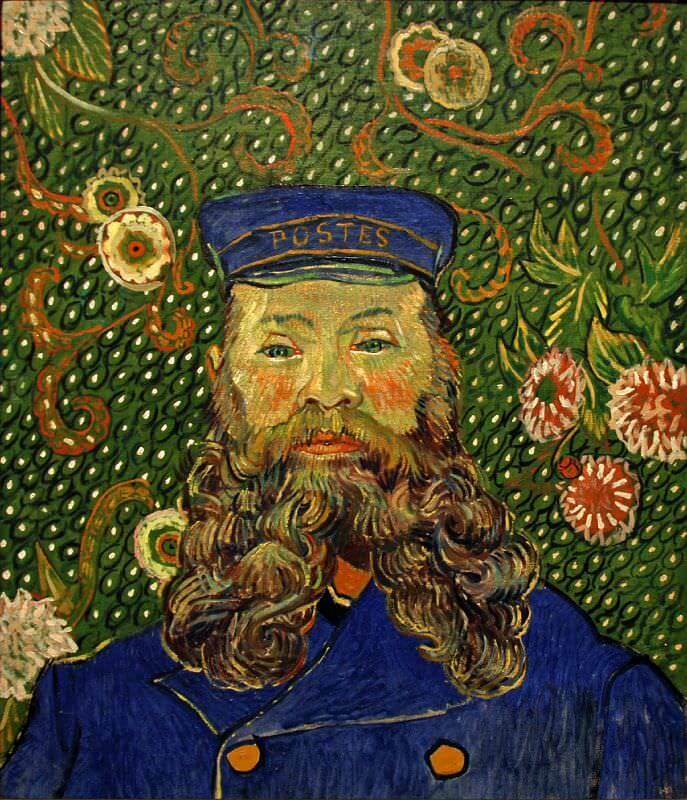 Van Gogh's subject in this painting, Joseph Roulin, worked for a post office in the French town of Arles. He was not a letter carrier but rather held a higher position as an official sorting mail at the train station. 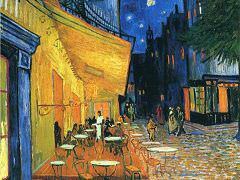 Van Gogh and Roulin lived on the same street and became close friends. 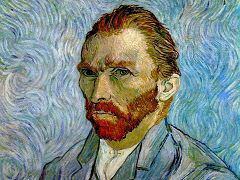 Van Gogh painted many portraits of Roulin. 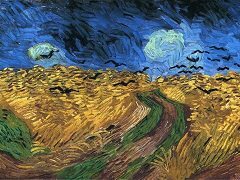 This picture, which van Gogh boasted of having completed quickly, in a single session, was painted after Roulin got a better-paying job and left Arles. Some scholars think that this portrait was not painted from life but rather from memory or from previous portraits. 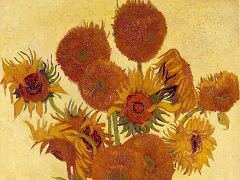 Van Gogh painted over 20 portraits of Joseph Roulin and his family. 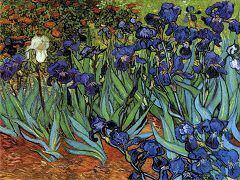 Van Gogh wrote to his brother, Theo, in December, "And if I manage to do this whole family better still, at least I shall have done something to my liking and something individual." 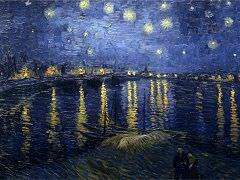 Van Gogh's thickly painted, colorful portraits changed the way many artists and patrons viewed portraits at the time. 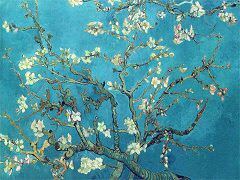 In 1989 the Museum of Modern Art in New York bought this painting from a private collection in Zurich for $58 million. 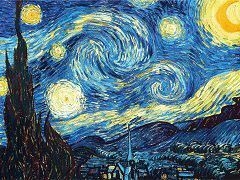 Accounting for inflation, this remains one of the most expensive paintings ever sold.